Committed to saving you time... and money! Stinson’s has been supplying small businesses, large corporate accounts, schools, and government offices in Kern County for over 70 years. We’re your single solution for everything you need to manage your business efficiently. Depend on Stinson’s for free next-day delivery for your office and technology supplies, janitorial necessities, and breakroom replenishment. And, you can rely on our furniture department to replace that worn out chair or completely redesign your office. 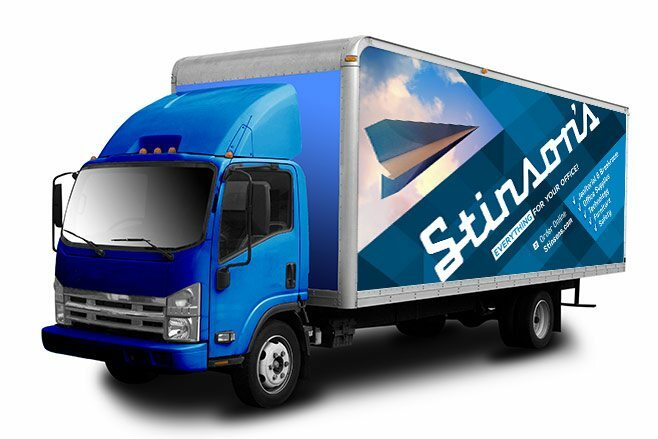 Stinson’s competitive contract pricing and cost-saving solutions, combined with our personal customer service, will make your job easier and save you time and money. We are big enough to compete with the national competitors and small enough to care about the daily issues affecting your business. For everything your business needs and does – let Stinson’s be your one-stop supplier.